Stocks tumbled during Tuesday’s session, and the S&P snapped a 8-day winning streak, as trade tensions heated up between the U.S. and the European Union. The Industrials and Materials were the worst-performing sectors during the trading session. As of market close, the S&P 500 (^GSPC) sank 0.61%, or 17.57 points, while the Dow (^DJI) fell 190.44 points, or 0.72%, and the Nasdaq (^IXIC) tumbled 0.56%, or 44.61 points. Crude oil (CL=F) continued its rally on Tuesday, hitting year-to-date highs. Continued conflict in Libya gave the commodity a boost, and it closed at $64.10 per barrel. The U.S. has said it will be slapping tariffs on $11 billion worth of EU goods after the World Trade Organization found that the EU’s subsidies to Airbus have had an adverse impact on the U.S. In a preliminary list released by the U.S. Trade Representative Robert Lighthizer’s office, the U.S. tariffs could impact anything from helicopters, salmon, yogurt, butter and cheese. The EU has also indicated that it plans to retaliate against the threat from the U.S. 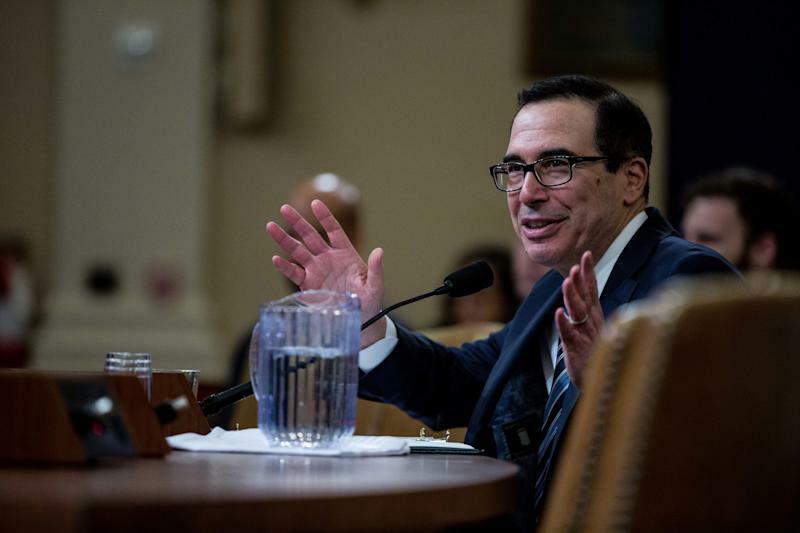 Moreover, U.S. Treasury Secretary Steven Mnuchin headed to Capitol Hill to testify before the House. Mnuchin was grilled by House Democrats about President Trump’s tax returns. Last week, the House Ways and Means Committee requested that the Internal Revenue Service hand over six years of the president’s tax returns. The Trump administration has stated that it will not be releasing the president’s tax returns without a fight. Facebook (FB) stock rose 1.5% after Morgan Stanley raised its price target from $190 to $195 per share, which is about an 11% move higher from Tuesday’s opening price. Analyst Brian Nowak anticipated strong ad revenue from Instagram and said that the data scandal wasn’t really impacting the social media company’s user engagement or ad dollars. Facebook shares are on pace for their highest close since August. American Airlines (AAL) shares sank nearly 2% after the company slashed its first-quarter revenue outlook. The airline cited a material impact from the grounding of 24 Boeing 737 MAX airplanes. American Airlines now expects revenue per available seat mile, a key industry metric, to be flat to up to 1% during the quarter, down from the flat to up to 2% previously expected. The company said that it had to cancel 1,200 flights in the first quarter because of the groundings and plans to extend flight cancellations until June 5.